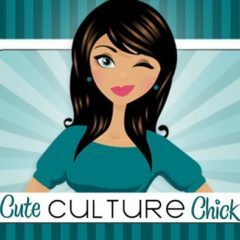 The most reliable way to contact me is through my email, cuteculturechick@gmail.com. You can also follow and message me on Twitter at http://www.twitter.com/cuteculturechic . I check both several times a day, and I’m much more likely to respond electronically than via phone (I’m one of those anti-voicemail kind of people.) I love making new friends, especially with my blog readers. I have been fortunate to be able to travel all over the country (and beyond!) to meet up with friends and bloggers. Let me know if your travels are bringing you to Utah, and I’d love to meet you. Are you from a company, looking for someone to test your products? I enjoy trying new things, and will pimp out your item if I love it. My other blog, http://www.nicoleratesit.com is on temporary hiatus, but that does not diminish my love for reviewing proucts and restaurants. Please contact me via email, and I will forward additional contact information.